That Cellphone May One Day Save Your Life! I know a few people who think carrying a cellphone on your person is bad for you, but in this case, it was a life-saver. This morning there was a post on the AP website that made me smile. 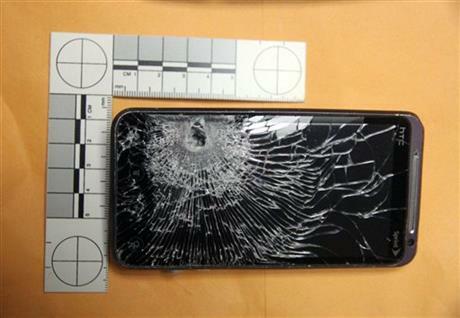 “Cellphone stops bullet fired by robber”. For him it was the ULTIMATE pocket protector.